Our SuperStorage Kiosk is open 24-7 for your convenience. Our self service kiosk is ready and waiting for you, 24-7, 365 days per year. 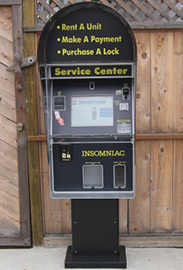 Rent a unit, pay your rent, update your account information or buy a lock right from the kiosk. If you need help, LIVE! customer support is available by phone or from the kiosk 'HELP' button. 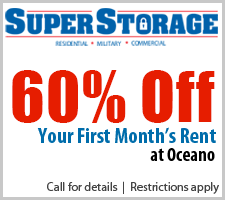 That's right, you will talk with a real person who is specifically trained to make storage fast and easy. Remember, you get a FREE lock when you move in at the self service kiosk. Come down now and finish the rental in about 10 minutes.